Plastic money or credit card is what we carry while travelling.There are number of choices available for travel credit cards. Travel credit card offers number of benefits, you can preload this card with currency of your choice, it offers you cash back rewards and allows you to earn airline mile also. However, due to number of credit card options it is very difficult to select Best Travel Credit Card. I have reviewed number of traveller credit cards option in India and selected best credit cards in terms of extensive benefits. Interest Rate – A variable interest rate ranging between 37.20% and 42.00% per annum. Welcome Offers – 10,000 Miles with your first spend of 1,000 Rs using your Citibank PremierMiles Card within 60 days of Card issuance, 3,000 Miles on every subsequent annual card renewal. 24×7 SMS tracking of your Reward Points. Four reward points for every 150 Rs spent or 2.66 points for 100 Rs. Double the reward points on flight, hotel and movie ticket booked using HDFC credit card website. Welcome Offers – One complimentary Jet Airways Ticket (Base Fare Waived), avail up to 10,000 Bonus Miles, enjoy discount voucher worth Rs.750 when booking a return ticket on the Jet Airways website. Top 5 Best Travel credit cards given above are selected based on extensive research and data available over the internet. You should carry out an independent study before accepting any credit card offers. Some tips for selection of credit card are given below. Tip 1 – You should carefully look at reward program and mile benefits offered by card. Higher the rewards may lead to higher interest rates. Tip 2 – If you are planning a foreign trip, make sure you inform your bank. 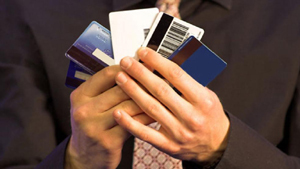 Banks typically monitor transaction patterns and can suspend a card if an irregularity is detected. Tip 4 – You should select zero liability credit cards. Tip 7 – Purchase credit card as per your need. Remember credit card can be a necessity but not luxury. Which Travel credit card is used by you? can you please explain how much miles are worth ? for example, how much worth are the 10000 miles we get with city bank credit ? for the benefit to all interested.